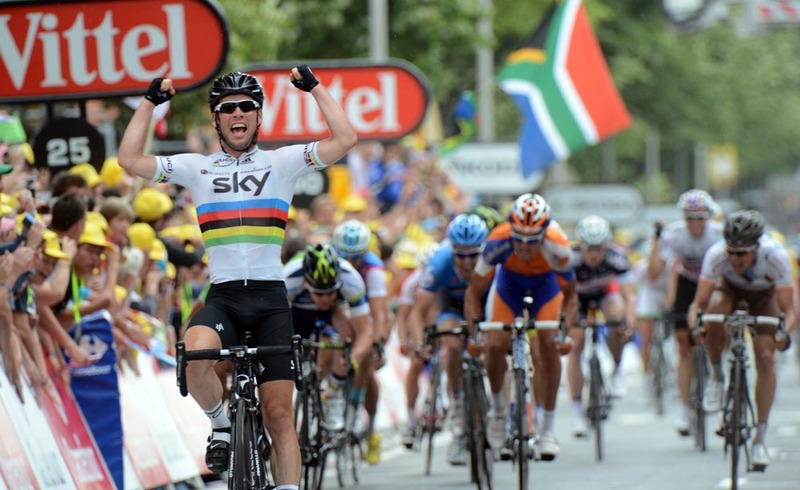 Mark Cavendish (Sky) showed his scintillating speed with a breathtaking victory in stage 18 of the Tour de France into Brive. He rocketed past the last remnants of a late breakaway, Nicolas Roche (Ag2r-La Mondiale) and Luis Leon Sanchez (Rabobank), in the final 150 metres after starting his sprint early. 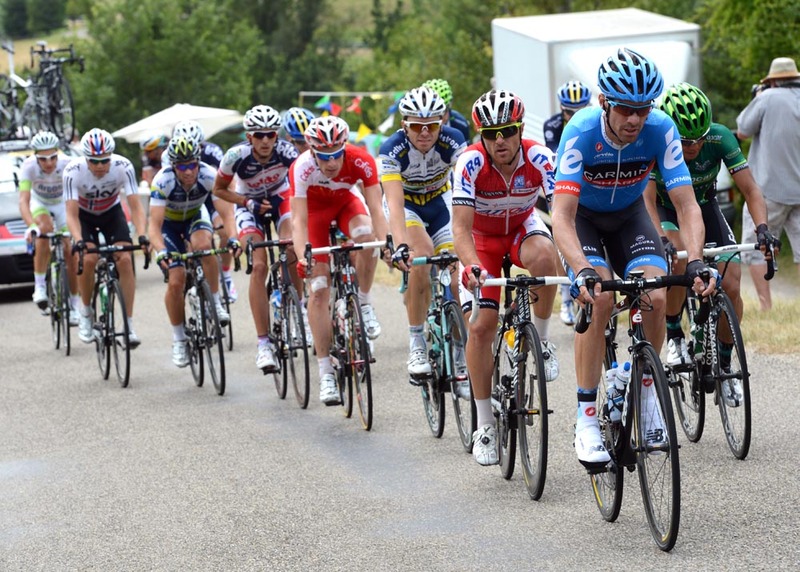 Matt Goss (Orica-GreenEdge) and green jersey Peter Sagan (Liquigas-Cannondale) finished second and third, ten bike lengths back after a thrilling final ten kilometres of breakaway versus bunch cat-and-mouse. It took seventy kilometres into the stage for the escape to go. It consisted of sixteen men, including David Millar (Garmin-Sharp), Edvald Boasson Hagen (Sky), Nick Nuyens (Saxo Bank-Tinkoff Bank) and Alexandre Vinokourov (Astana). The gap was kept on a tight lead – unlike an errant four-legged roadside spectator. 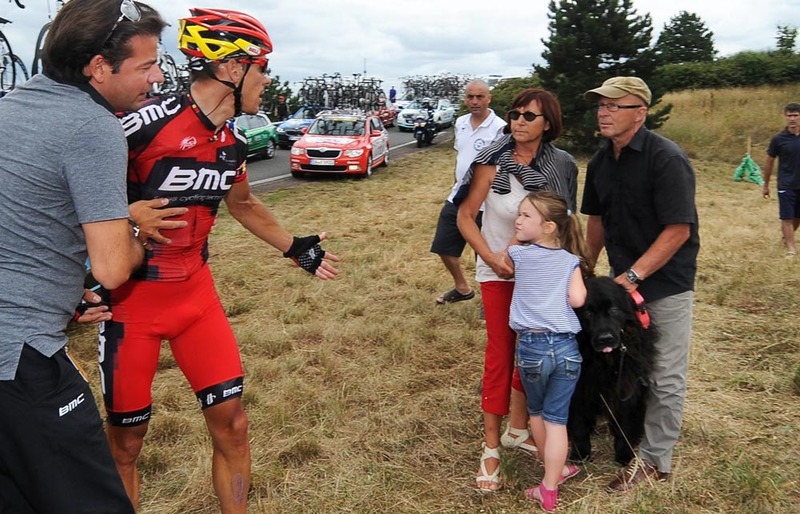 A dog ran into the road 100 kilometres from the finish, causing Philippe Gilbert (BMC), Denis Menchov (Katusha), Tyler Farrar (Garmin-Sharp) and Arthur Vichot (FDJ) to crash. Despite the size of the group, the bunch ate into their lead gradually. Onto the final climb, the fourth-category Cote de Lussac-sur-Couze, Vinokourov, Luca Paolini (Katusha) and Adam Hansen (Lotto Belisol) forced themselves away and over the top. Roche and Sanchez bridged across from the bunch with a few others and forced the issue in the closing kilometres on rain-damp roads. 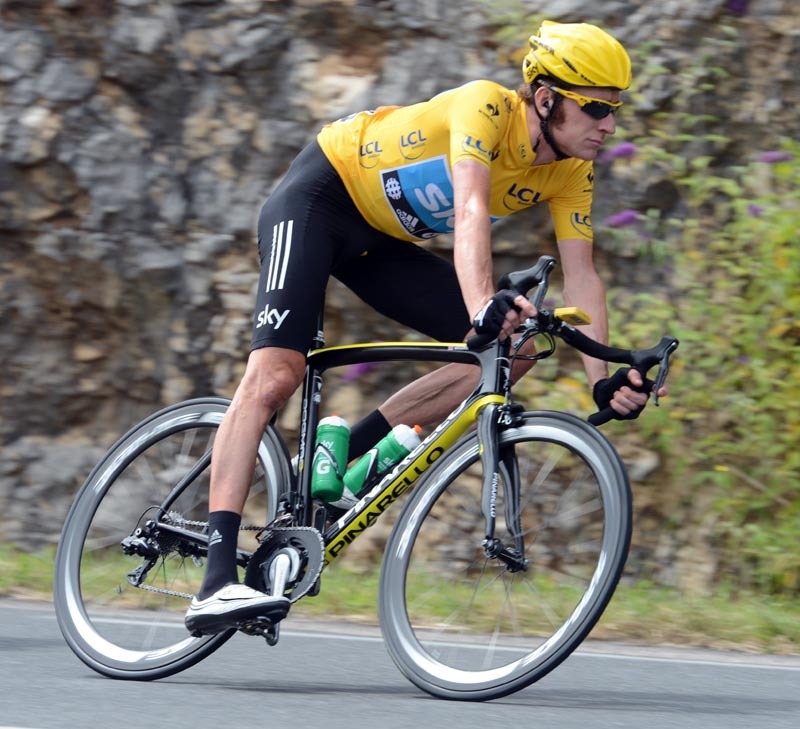 But they couldn’t hold off a chase from the bunch, aided by a fierce turn on the front by Bradley Wiggins. He handed it over to Edvald Boasson Hagen and Mark Cavendish, whose long sprint was irresistible and left his rivals standing. That’s two stage wins for Cavendish, who has taken a background role in Sky’s yellow jersey-centric Tour, and five for Great Britain so far. The world champion will be hoping to oblige similarly in eight days time on The Mall in the Olympic road race. Today showed that Cavendish can handle a sharpish climb without sacrificing his speed. But first, he’ll be hunting a fourth consecutive final stage win on the Champs Elysees in two days time. 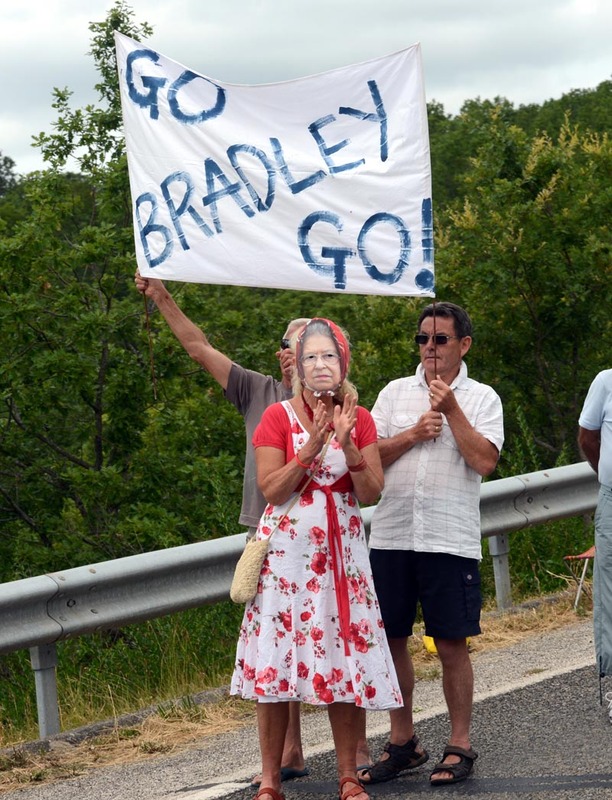 Only tomorrow’s 53.5-kilometre time-trial from Bonneval to Chartres and a short final stage into Paris stands between Bradley Wiggins and Tour de France victory.